Consumer packaged goods (CPG) companies have typically focused on assessing and understanding historical performance parameters: what was the distribution reach, the price gap with regard to private labels and the benefits from a promotional campaign? And, these rear-view mirror perspectives are no longer sufficient by themselves, today. CPG companies need to develop more predictive capabilities and should work to understand the purchasing patterns of shoppers that frequent their major retail partners’ stores, and also develop insights into the decision making process. Advanced analytic modelling capabilities can give companies the ability to predict shoppers’ reactions to changes in assortment, shelf-space, price and different promotional tactics. Some leading manufacturers are also using advanced analytics to optimise assortment, price and promotion to improve their performance, as well as their trading partner’s category performance. These CPG companies are moving beyond the “what happened” to the “what’s next”, and are achieving superior competitive performance. Some top performing CPG companies are beginning to work with retailers to develop specific assortment, price and promotions by shopper segment and related demand-based store clusters. These retailer store clusters are derived from advanced analytics that aggregate stores into clusters based on similar demand patterns. Shopper segments are then overlaid on top of these clusters to understand what segments are driving those patterns. Such analysis can now be performed down to the store, product category and SKU levels. Many CPG companies find it difficult to conduct this level of analysis. One of the challenges that many companies face, is that they do not have adequate capabilities in consumer segmentation, which in turn can generate actionable insights. Companies need the ability to understand the recent purchasing history and interests of shoppers, as well as what they are likely to buy next. Today, most CPG companies’ consumer segmentations are done at the brand level on a national basis with primary market research analysing consumers’ stated needs and attitudes, not their actual in-store purchasing behaviour. A new generation of segmentation capabilities enables manufacturers to look at transaction data from the retailer and analyse shopper segments, based on differing purchase behaviour at the relevant category level. 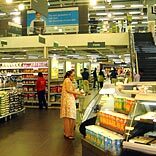 This enables the development of assortment, price, promotion and planogram tactics by retailer store clusters that have a predominance of a specific shopper segment. CPG companies that have deployed predictive analytics modelling and optimisation have achieved anywhere from one to a five per cent increase in sales, and a 10 basis point to 800 basis point increase in gross profit margin. And reaching this level of insight requires a manufacturer to have advanced analytics capabilities and tools. Also, being able to act on new and differentiated insights requires effective end-to-end planning and understanding shopper preferences. Predictive analytics rapidly transforms insight into action. Here, CPG companies have an advantage over retailers and their private label brands. CPG companies can leverage their size and cross channel and retailer network for consumption data and other information, to develop predictive capabilities. Predictive analytics and optimisation can result in the discovery of patterns and groupings in data that are more detailed and insightful, and also enable the development of decisions and actions that significantly improve performance. Also, through data collection, modelling and statistical analysis, predictive analytics tools can deliver more objective and actionable shopper segmentation insight. As a CPG company’s analytics sophistication grows, it can reach a point where real-time recommendations are delivered about the product assortment and the associated price, promotion and planogram tactics that will maximise profits from a particular product at a store. Predictive analytics can also improve decision making about merchandising, pricing, inventory, store labour needs and suppliers. And to make this possible, a CPG company needs relevant IT systems in place, collect and analyse data, and effectively utilise them while planning marketing campaigns and product innovations. And with these capabilities in place, it enables a CPG company to better understand how its products stack up in a consumer’s basket and lifestyle, relative to its competitors and retailer’s private label brand. Interestingly, in many situations these analytics often show that deploying different tactics for both the manufacturer’s brand and a retailer’s private label brand, and can improve performance profit contribution for both parties; a win-win situation.